Jim is a life-long resident of rural Cumbria. After qualifying as a Chartered Accountant in 1970, he followed a challenging senior managerial career in professional, industrial and educational environments, and leading to specialisation in business recovery. Since retirement, Jim has served as Hon. Finance Director of national charities promoting amateur music making. 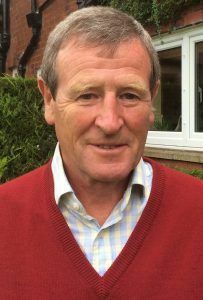 He currently volunteers as a Trustee of Carlisle Diocesan Board of Finance, Chair of Parish Council and Churchwarden. Jim is also an active member of The Wordsworth Singers and Encore Opera, and he recently completed a term of office on the Holiday Property Bond Bondholders Board. Jim enjoys playing golf at Silloth on Solway and Carlisle, always hoping for but never gaining that elusive “magic round”! Married to Eve, with 2 sons and 4 grandchildren, Jim has earned a reputation as someone who “gets things done”, and, though now in his early 70’s, continues to enjoy a youthful approach to a very active life!